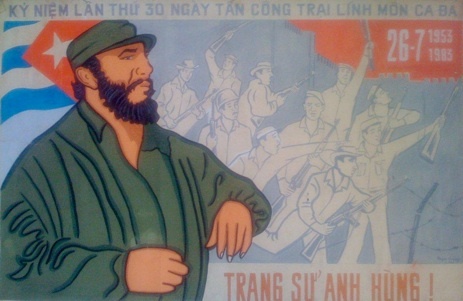 Inside a District 1 townhouse in Saigon, Richard di San Marzano has been carefully archiving the largest collection of propaganda poster images in Vietnam. Boss Dominic Scriven has collected more than 1000 of these striking, political works over the last 20 years and Richard has spent almost a year archiving the poster art. They are carefully stored and numbered in boxes between a tracing paper-like tissue. Only 100 of them are dated and some are signed by individual artists; others are signed by art collectives but it’s known that the majority were created between 1960 and 1974, during the height of hostilities in Vietnam between the communist north and the American-backed regime in the south. “These are art but also historical documents,” explains Richard as he unwraps a few of of the posters for me to see. The most unusual of the documents are the double-sided works. During the American War, paper shortages were common but the need to churn out propaganda art was imperative. Artists requisitioned used paper from the Hanoi School of Fine Arts. On one side of the paper are some stunning life drawings: female nudes pose; in another a profile of an old man sitting on a chair clasping a staff; the light is stunning. Turn these pieces over and the paper is awash with political slogans and the vivid colours of the communist works: scarlet red, blacks, purples and gold. What strikes you is how vibrant the colours are despite the age of the works, storage and obvious damage: some reveal multiple pin marks, others were hauled by artists through jungles. The paint used was tempera, known for its longevity. Most visitors to Saigon come across Dogma shops (www.dogmacollection.com). This is the commercial wing of the collection that sells related merchandise but the Collection hopes to tour internationally with the works and publish an art book of the poster collection. The Collection would do well to woo a big name architect and display the fascinating propaganda (and the life drawings on the other side) in an impressive museum in Vietnam displaying this important and interesting legacy on home territory. Next week marks the 60th anniversary of Fidel Castro’s attack on the Moncada military barracks in Santiago de Cuba. 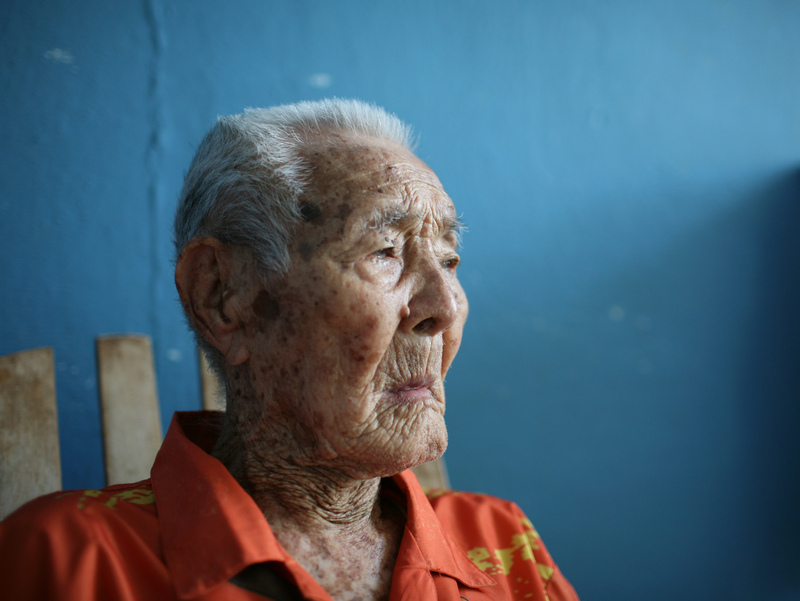 Miguel Michiro Shimazu, 105, is the last surviving member of the Japanese community of Júcaro, Isle of Youth, Cuba. The community was founded in the early 20th century on the island off Cuba’s southern coast. Miguel, whose real name is Sanrichiro Shimazu Kumazukura, was born on December 24th 1907. He spent six years in the island’s infamous Presidio Modelo jail as a prisoner of war during the Second World War, the same prison where Fidel Castro was incarcerated in 1953.